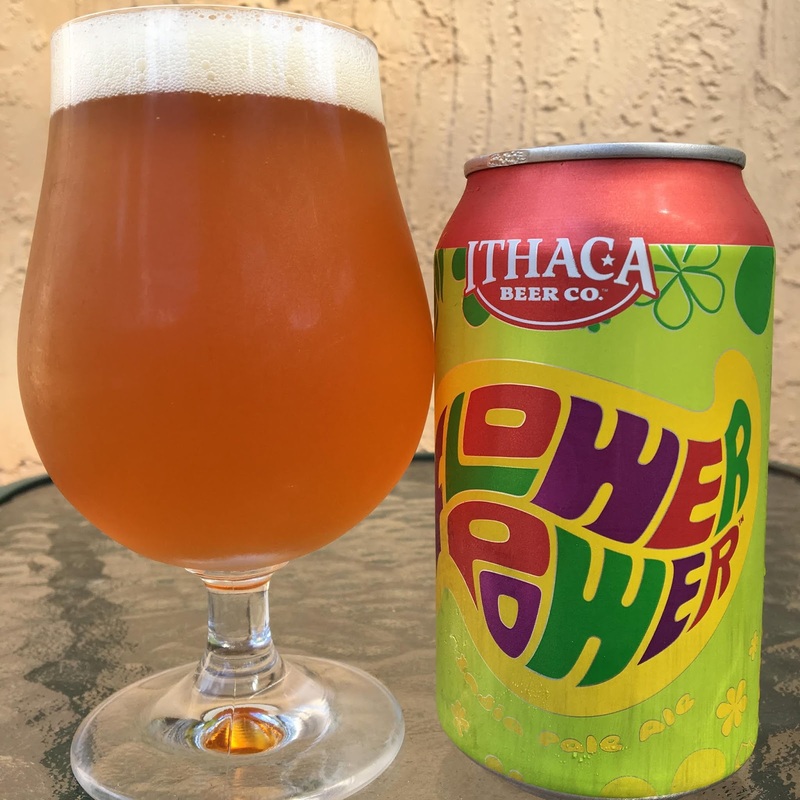 Today I'm checking out Ithaca Beer's Flower Power India Pale Ale. I wrote a little piece on this when I first tried it over 8 years ago, but since Total Wine brought a truckload of Ithaca Beer to Florida in their Brewery Direct program, I figured I'd give it another spot. This time, the beer is in a can. Same great label design, trippy colors, bringing back hippie memories from my days at Cornell. "The Spirit of the Finger Lakes." Beautiful color. The aroma is terrific and full of orange and citrus. Fruity orange and melon, some citrus come first. Sweet initially but with a spicy kick of an answer. Tangy and pretty bitter overall. The finish is dry. Nice beer! Great beer. What stores are selling it. You can find it at Total Wine stores in Florida.